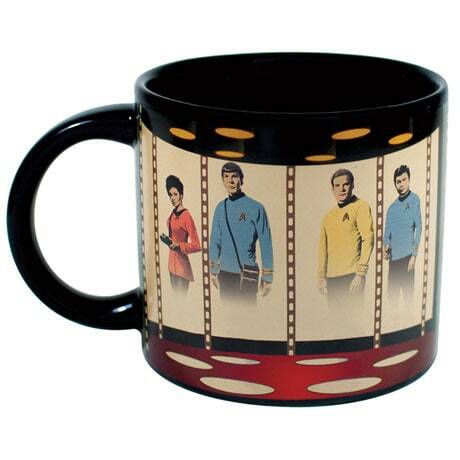 Add a hot liquid and watch with total amazement as Captain Kirk, Mr. Spock, Lieutenant Uhura, and Doctor McCoy leave the Transporter Room on one side of the mug and materialize on the other side, ready to explore a planet's surface. 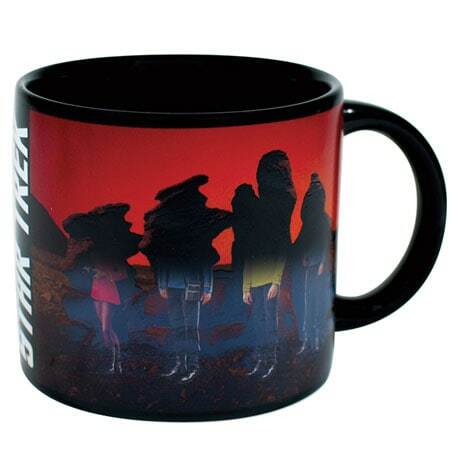 A great way to energize your day, 4" mug holds 14 oz. Hand wash. Microwave safe.